Parts of Colorado are shoveling their first significant snowfall of the season today. Before that, higher elevations in Montana, Idaho and Wyoming all saw some snow before October even started.Parts of Alaska have been seeing snow for quite a while. 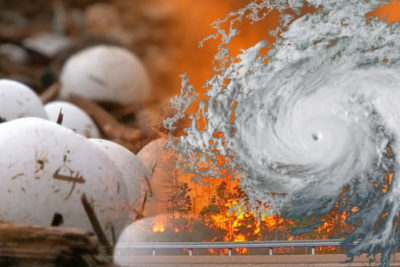 It won’t be long before the snow starts flying across the rest of the country, and many parts of the United States will be in the midst of the cold, snowy winter. 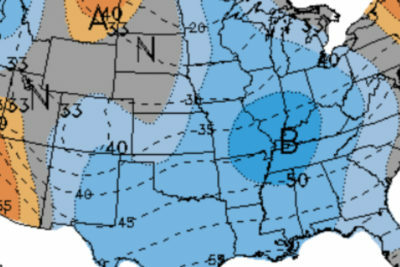 If history is any indicator, the next snowflakes will fly in the Northern Plains and Northeast before moving into the Upper Midwest, eventually the rest of the Midwest and farther and farther south as the season wears on. 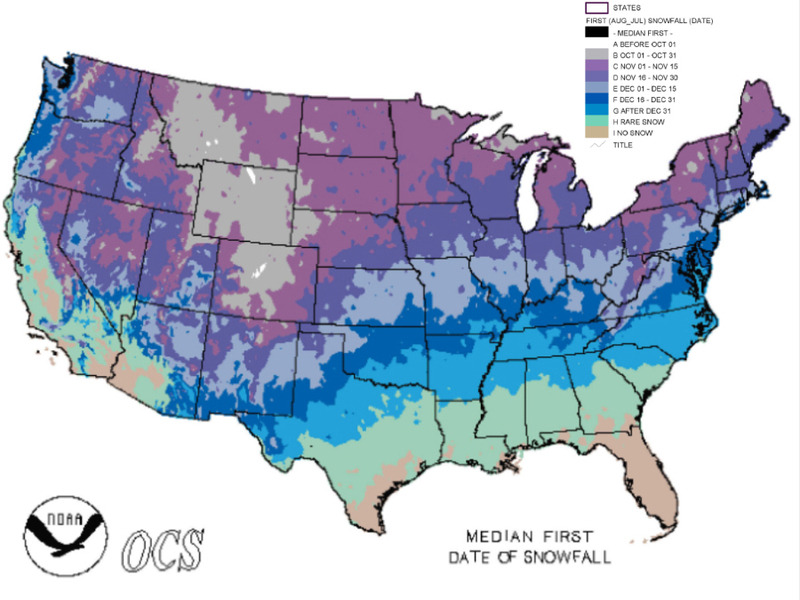 This map breaks it down by the average date of the first snowfall every couple of weeks. The National Weather Service will likely release their winter outlook near the end of this month, but chances are this winter will be colder than last year’s mild winter.